The annual Gourmet Run, i.e. 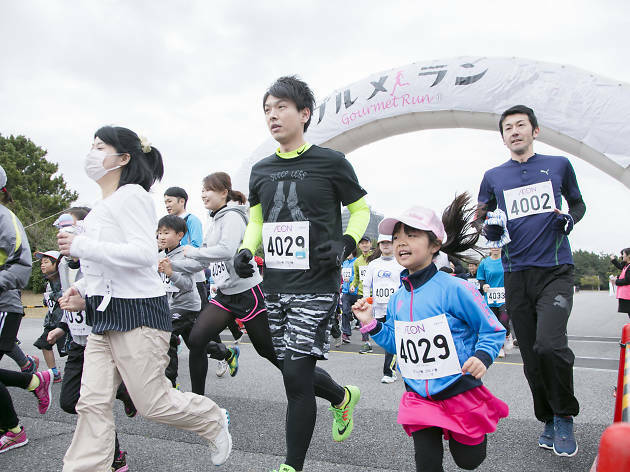 the marathon that lets you run and eat the good stuff, is back again for 2017 at Odaiba's Symbol Promenade Park. There are several different races you can sign up for: an individual 10km, a relay marathon that'll see you run the full 42.195km between friends, and a 'family marathon' for those who want the little 'uns to participate too. Any of these get you a starting number, which can then be exchanged for food to be eaten during a break or after the full race, surely helping your tiredness run off (sorry). 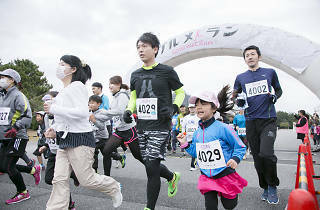 The course itself is a round 2km track, so even if you're running the full thing you should have enough space to dart past any kids and slower runners. Note that the sign-up deadline is January 15, 2017.